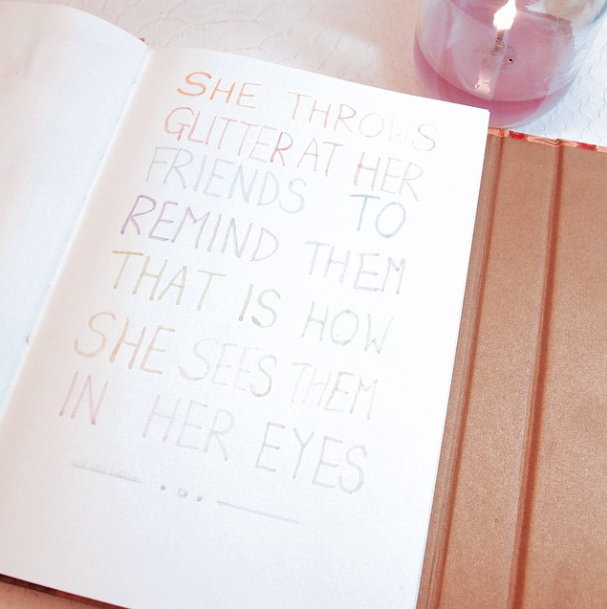 She throws glitter at her friends to remind them that is how she sees them in her eyes. Because each of her friends is beautiful, unique and has an important position in her heart. She couldn't live without any of them.